Summer may be over but vacation time is just starting! And of the most important items to bring on a vacation is a great beach towel! Aurorae has your (wet!) 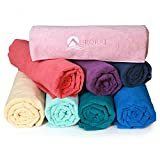 back this vacation season because they recently launched a new division, Aurorae Aqua, and they now sell ultra absorbent, 32" x 68", Microfiber Sport & Swim Towels. These are available in vibrant and inspiring colors -- perfect for the whole family - year round! The towels have been a big hit for beach and pool use, but are the perfect size and weight for all outdoor sports, and spectator use. 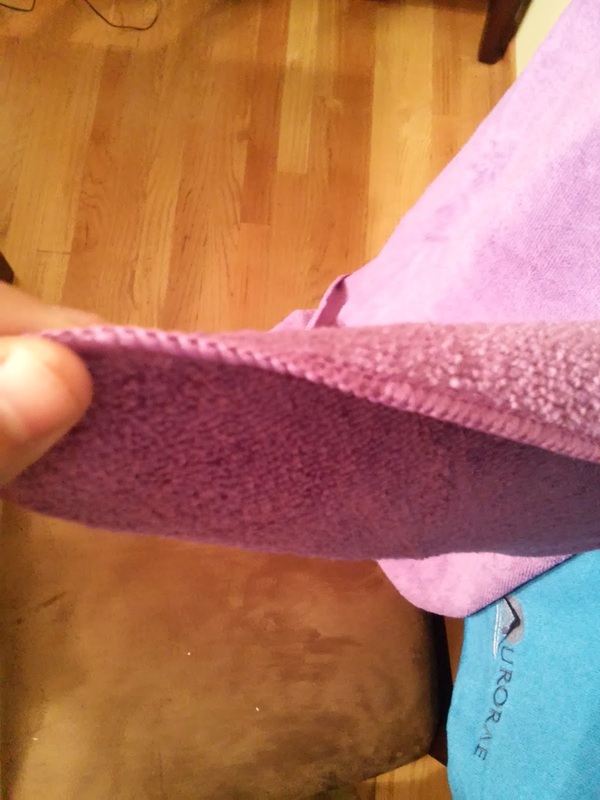 Many of their customers are now using their towels for hiking, camping and picnics, or as a lightweight blanket for sideline use at their kids' sports games. I really LOVE the variety of fun colors there is to choose from. We chose the Fiji Sunset and Mediterranean Seas towels and I instantly could see and feel how soft and large these towels were! If you need a quality beach towel for your vacation this winter, check out the new towels from Aurorae! You can purchase Aurorae Towels for $24.99 from the Aurorae Yoga website. 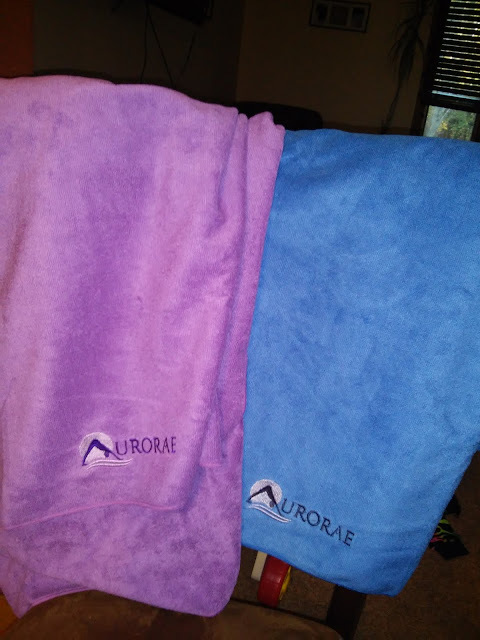 Aurorae is generously offering (1) Aurorae Aqua Microfiber Towel to a lucky winner!